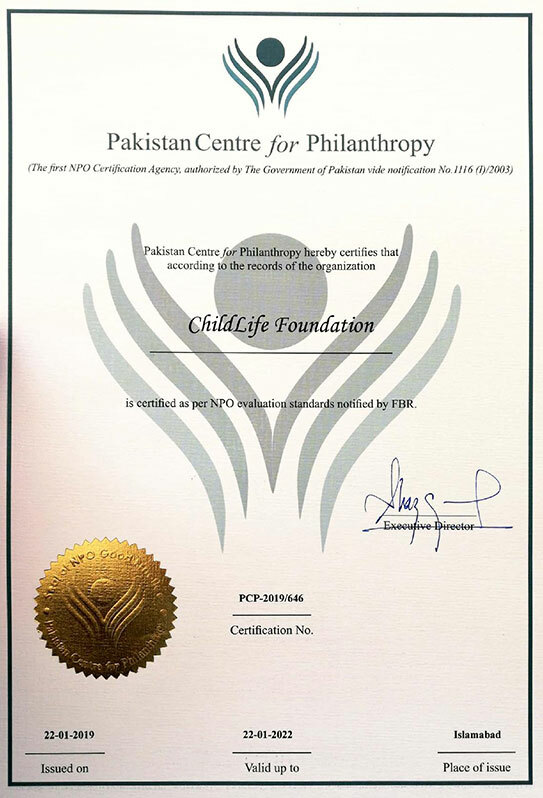 Pakistan Centre for Philanthropy initiated the first of its kind certification in South Asia. The certification endorses transparency, accountability and good governance in the nonprofit sector of Pakistan. PCP involves the evaluation of nonprofit organization on standardized parameters of internal governance, financial management and program delivery. ChildLife Foundation signs an MoU with the Government of Sindh for the expansion of the ER at National Institute of Child Health on May 23rd 2017.